Every kid dreams of having super powers. Some kids dream of flying through the sky like Peter Pan or Superman, some dream of being as strong as Hulk or Hercules, and some dream of running as quickly as Flash or Dash. Here are some of my favorite powers, and I would love to hear your opinions in the comments below. For centuries, man has been obsessed with flight. When the Wright brothers invented airplanes, they brought this dream to partial reality... but only partial. We can fly through the air, and even send powerful rockets into space. Even so, I have always wanted to fly completely unaided, the way a bird, fairy, dragon, angel, or any other winged creature can. I love the look of wings, and would gladly take them in a heartbeat. My favorite wings would be dragon-shaped or feathered, and when folded at my back, they would reach from above my head to my ankles. Of course, they would be hilariously impractical, so if I were to gain the power to fly in real life, I would want to be able to fly without wings, like Superman and many other heroes. 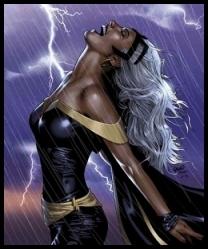 Marvel's Storm is probably the most well-known superhero with this great power. Also called "atmokinesis," "meteorokinesis," or simply "weather control," this power is pretty self-explanatory, although it can very wildly in scope. 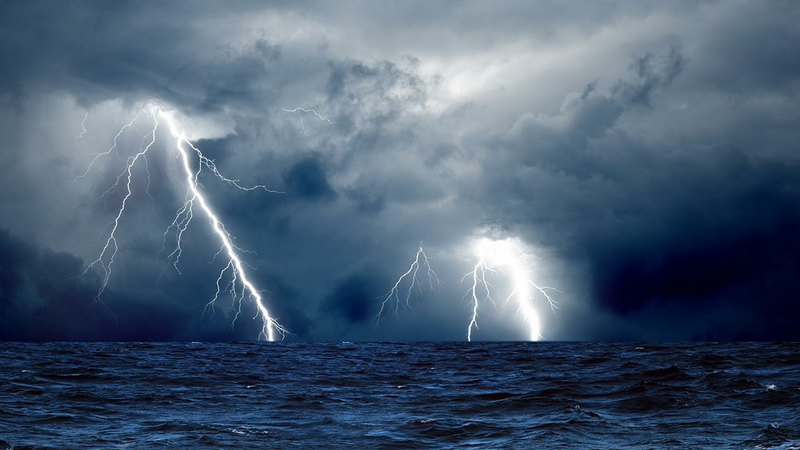 Typically, a hero with this power can control some combination of rain, storms, and wind, but many also include snow, hail, lightning, and other effects. Some super heroes can cause giant storms over large areas, while others are limited to a smaller scope. Obviously, if I had this power, I would want it to be as powerful as possible. However, I would not want it to be connected to my emotions, lest I do far more damage than I ever intended to do. This is one of the lesser known and sadly undervalued super powers, but I believe it is one of the most powerful and versatile. Some heroes with this power can only use it defensively, to create an impassible barrier around themselves and their allies. Others can use it much more creatively. Marvel's Invisible Woman, of the Fantastic Four, can create invisible force fields in any shape she wants, and can move them around however she wants. With a power like this, you could easily mimic many other powers to achieve offensive, defensive, or practical results. The force fields could be used in a standard manner to defend, or they could be used to create weapons, trap enemies, strike as if they were blunt or projectile weapons, and many more. In addition, they could be used to simulate telekinesis, as you could wrap a force field around an object to move it around. 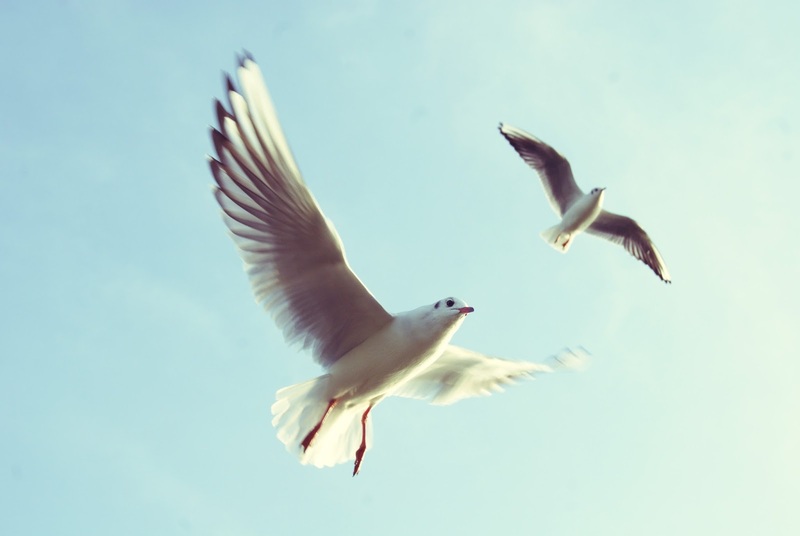 You might even be able to move a forcefield under your own feet, to create flight. Similar to a Green Lantern ring, this power is limited only by your imagination. - Invisibility. It would be so much fun to creep around unseen, but it wouldn't be very practical. - Night vision. How fun to see in the dark! But still, it isn't quite as interesting as some others. - The ability to pass through solid matter. Again, not very useful, but certainly fun! - Pyrokinesis, or the ability to control fire. By far the most destructive on the list, it is nevertheless flashy and formidable. It would be difficult to find a practical application in real life, though. What do you think? Do you agree with the powers on this list? What super powers would you choose? Let me know in the comments! And if you are a super hero fan like I am, you might want to check out Erin's poll about favorite super heroes and give your opinion! Fun, Hannah! I'm not sure what superpower I would want. . . there are so many choices! Thanks for giving me something fun to think about on a sunny Saturday! My two favorite superpowers are flying and invisibility. I have always been fascinated by superpowers. This is a great post! My top three are telepathy (speaking to others with your mind) telekinesis (moving things with your mind), and flight. You chose neat pictures for this post- I love the angel one and the storm lady! 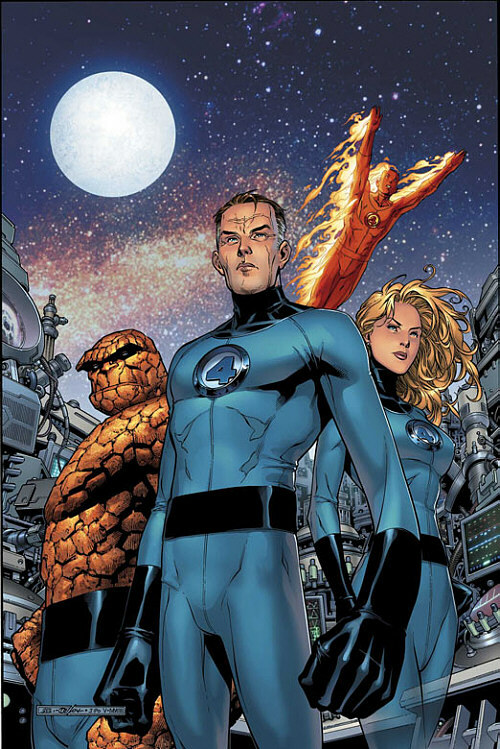 It's funny, I think of the Fantastic 4 as villains because my sole encounter with them was a Spiderman comic where they were fighting Spiderman. I look forward to more posts on this topic! My favorite super power character would be able to teleport him/herself to any desired location. It might be fun to allow such a character to be in multiple locations at once! I enjoyed reading about your favorite super powers.